My baby. 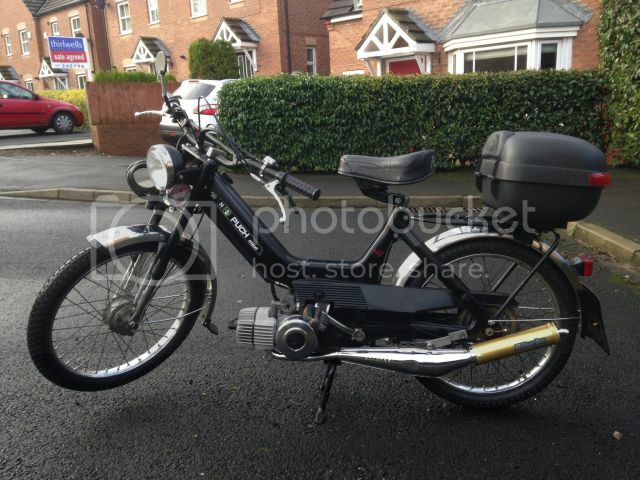 Now a little Puch mad, keeping an eye out for a Magnum I can refurbish next. Almost everything new for old, now I think of it! Has about 4000 miles on it, runs about perfect. Project started nine years ago, just finished this year. 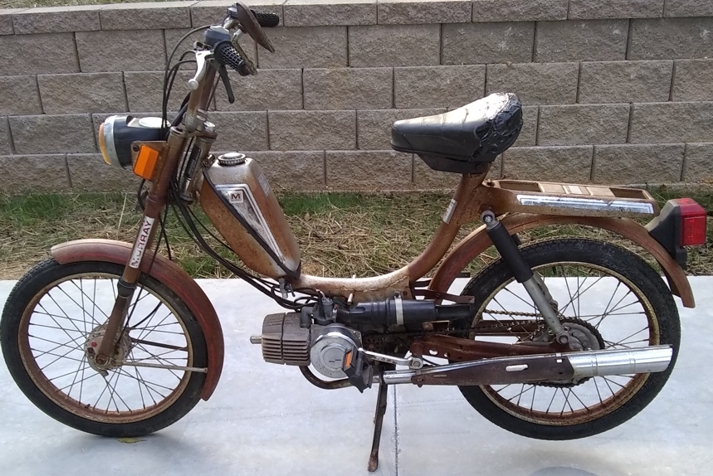 1965 Tomos T12 from Yugoslavia. Not quite finished in this photo, need metal saddle bags and decals. Hello lads! Here is my 1989 Tomos APN 6S. It's not in it's original state, the headlight is new, the wheels are from the new Tomos Alpino, the seat is an APN ECO, the front fork, rears shock absorbers and side stand are also not original. I'll try to get it back to the original state, but some parts are hard to find, while others are of very poor quality. 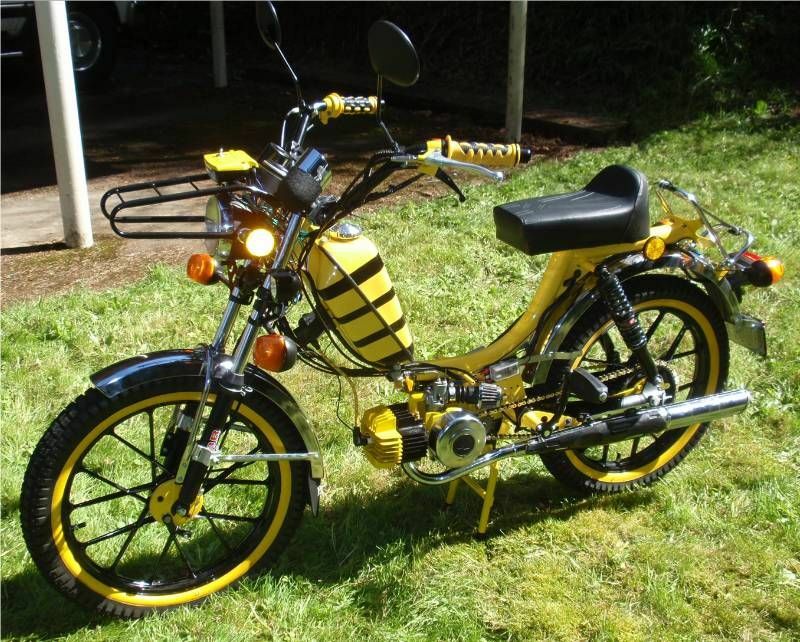 I know it's technically not a moped (no pedals) but in my Country they are regarded as such. Last edited by johnnywheels524 on Mon Apr 25, 2016 6:15 pm, edited 1 time in total. The UK's No.1 Scooter Brand - Scooters Delivered To Your Door. Large Range of Designs From 50cc (49cc) To 125cc. Cheap Scooter and Moped Insurance Quotes. Compare quotes today for Scooter and Moped Insurance from UK Insurance providers.